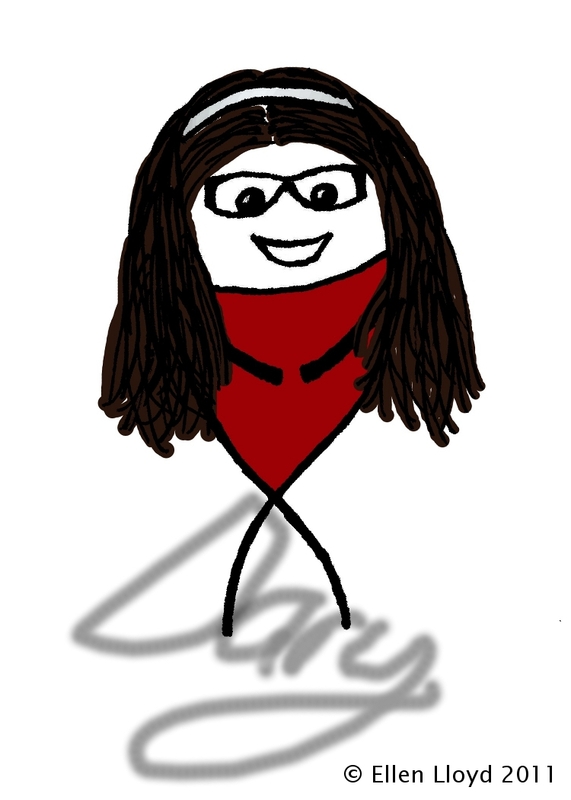 ARTIST'S NOTE: The following drawings are each dedicated to the person pictured. 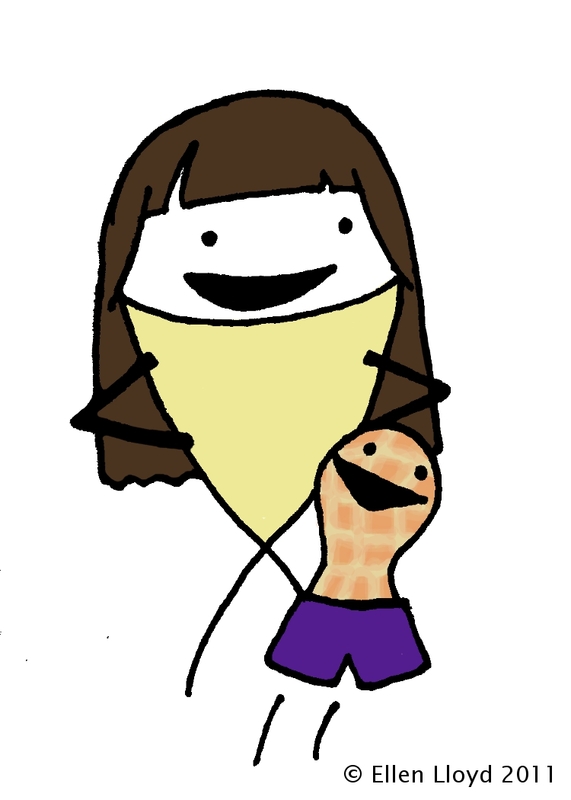 And yes, I have combined my own drawing style of fish-people with the style each artist uses to draw themselves. Allie? I made you a trophy! It's for being the funniest person on the interwebz. Can you put it on your fireplace, right next to your "Ability to be Responsible" trophy? Thanks! P.S. 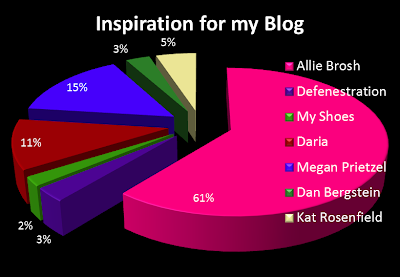 Your blog makes me want to laugh out my spleen. I love you. 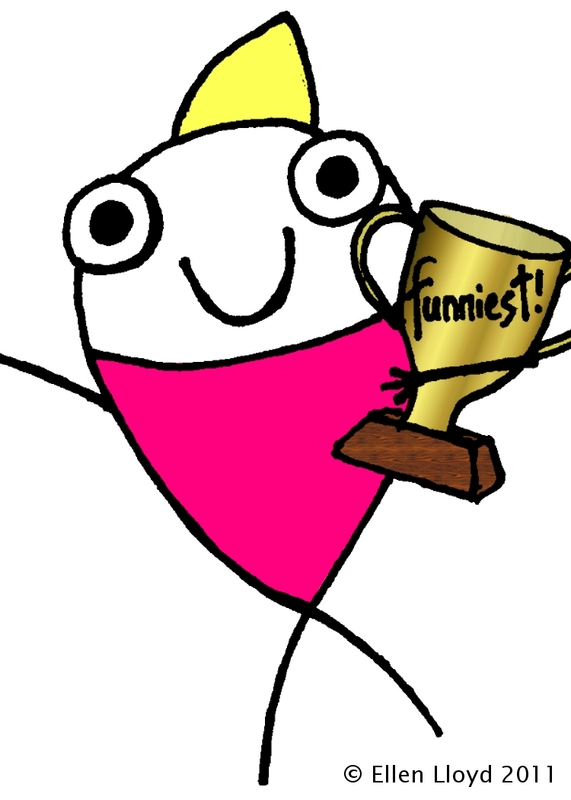 Allie Brosh is THE funniest person on the internet. She also proved that blogging stories with weird pictures is awesomesauce. The idea for this blog wouldn't exist without her. If you have never read Hyperbole and a Half, why are you here wasting time on my blog when hers is 10000000000 times better? No! Wait! Not like that! I didn't mean for you to... NOOOoooooo!!!! Come baaaaaaaaaacckkkk!!!! You are amazing at drawing arm-less, hairless, googly-eyed hilarious people. I salute you. Thanks for answering my letter last year. It still helped me even though the situation catapulted irreversibly downhill. Auntie Sparknotes is the awesome advice columnist on Sparklife. She is sympathetic, helpful and hilariously funny. 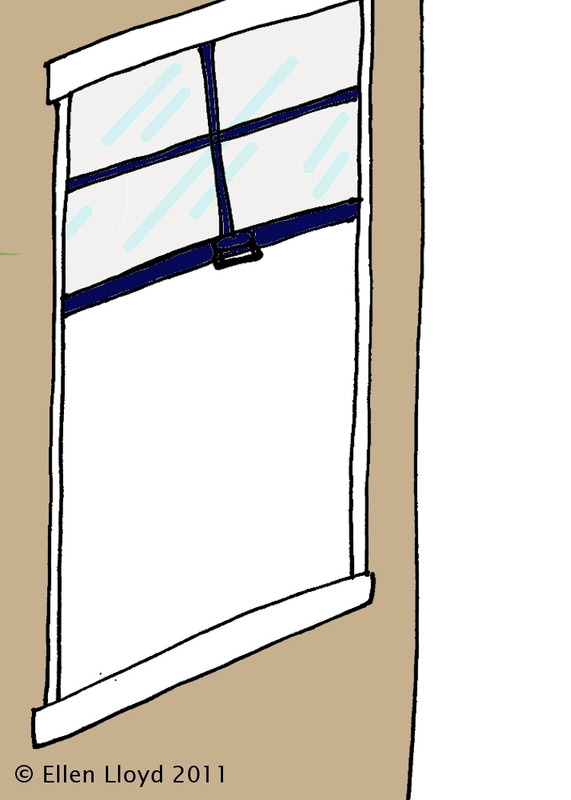 She also draws a googly-eyed cartoon for each of her columns, giving about 5% of the inspiration for these blog posts. Dan? Dan? Dan? Dan? Dan? 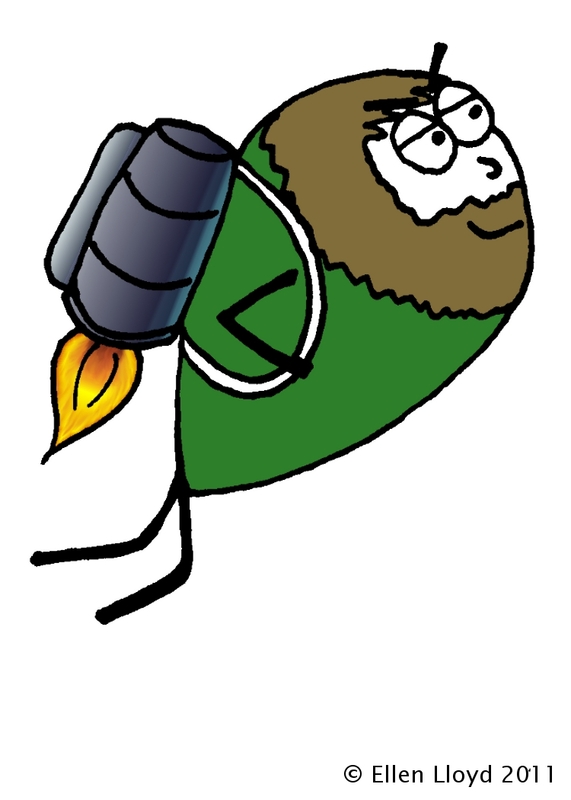 I built you this jetpack myself. Do you like it? Please like it! You're not a werewolf in this picture, but I think the beard you used to have puts you halfway there. I'm sorry. The next picture I draw of you will be more epic, I promise. And Dan draws epic pictures... Edward's medusa-hair is amazing. I've been reading your blog, stalking your formspring and splurking on your Sparklife posts for months. I'M SORRY FOR BEING CREEPY! 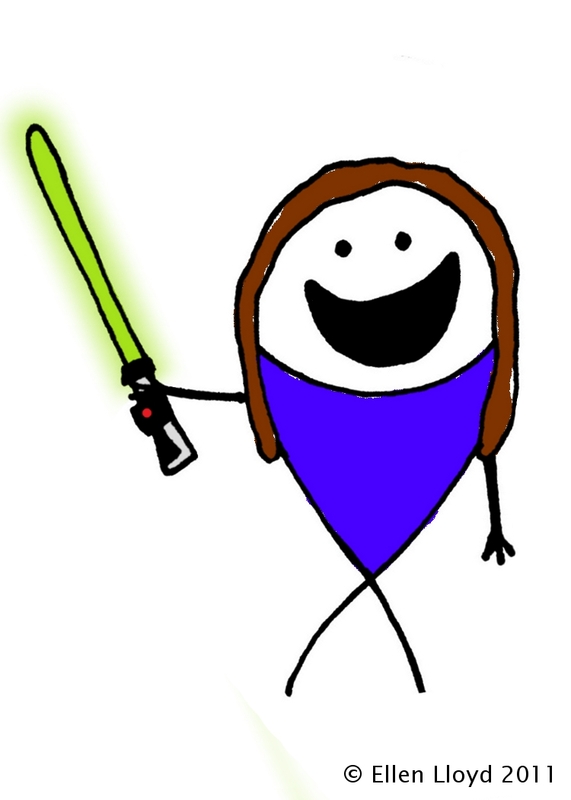 Please accept my apologiez, this green lightsaber and my eternal admiration? Since I can talk to you In Real Life, why would I write a mini-letter to you here? You see, for a while I had been saying to Daria, "I should start a blog." But then one fateful day she says all casual-like, "You know what? Blog writing can be really fun. ^^" And I was all "Wait WHAT you write a blog?" Turns out she had been writing for a while, and I didn't even know! Now energized, my brain was all "MUST HAVE BLOG NAO" and I created it the next day. You are the prettiest and most photogenic shoes I have ever owned! Please last forever. If you grow any more YOU WILL BE SORRY. So one day Dary and I were eating a picnic outside. We also had a camera! (Highly entertaining indeed.) I thought it was a brilliant idea to put the camera on the grass and use the auto-timer to take pictures of my feet and, well, this was the result! I love this picture, so it will most likely stick around on my blog (in some form) for a very very long time. That's all I really have to say for this one. If you happen to live in some alternate universe where defenestration is not the most awesome word, you should probably read this and get up to speed. 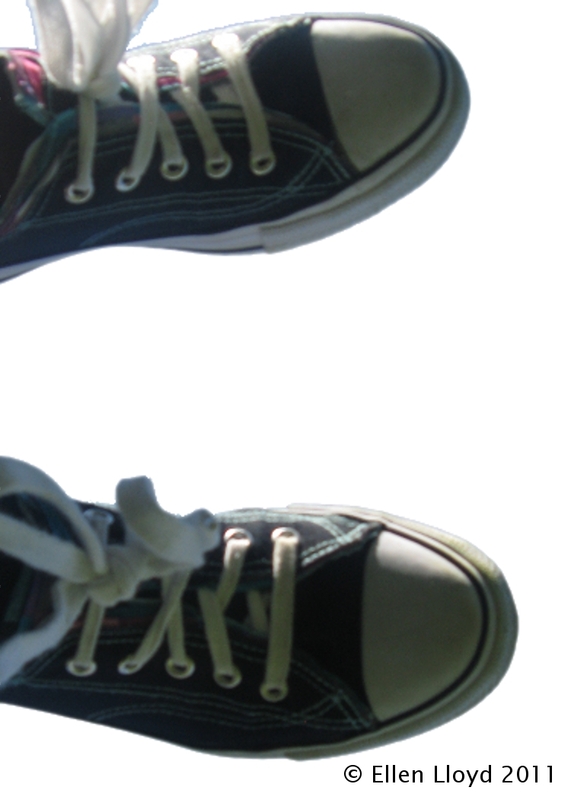 When I first created my blog it was called "Feet in the Air" because of the picture of my feet and because I couldn't think of anything better. But www.feetintheair.com was taken so I later thought of the Most Amazing Blog Name Ever! It uses my favourite word and it is perfect. Finally! A blog post!!! Keep em coming. I like your blog. My only issue is that the word DUDE has not been mentioned in the awesome words list... Get on it DOODE. *waves hello back* Thanks for stopping by! My name is also Ellen. I like Allie Brosh, too. I think, therefore, that you and I are probably already best friends. May I have your kidney? If not, that's ok. It's not, like, an emergency or anything. I make friends out of popsicle sticks.